How much would you pay for a bag of weed? Not a huge bag, just enough for you and the weekend ahead. 10 Euros? 20? How about for a gram of black tar heroin? About a 100 Euros? Or perhaps you’d like to pay in bitcoins? Be my guest. And just to sweeten the deal, let me tell you, you won’t even have to leave the comfort of your desk to acquire your choice; no hanging around a dark alley, just go to the Silk Road website on the Dark Web, and shop away! You’ll even have customer reviews to guide you in your purchase. At least, that’s what you (possibly) could have heard from a Silk Road user before the site was shut down in 2013 by the FBI. On Friday, The Guardian reported that Operator of the former Dark Web site, Ross Ulbricht, was sentenced to life in prison by Manhattan’s district court for the South district of New York. Ulbricht, 31, was sentenced to five sentences of varying length, two of which were life sentences. Judge Katherine Forrest was relentless in her verdict, claiming that Ulbricht and the numerous pleas for his defence (some of which came from external petitions) were in a privileged position, and that the claim that the site reduced drug-related violence on the streets, was not only unfounded but grossly incorrect. Forrest also referred to the extent to which drugs are linked to the development of third-world countries, in which the growth and manufacture of drugs causes immense problems, the least of which is violence. The case brings together drugs, the law, debate and the internet together in an important intersection. Many people take an anarchist (or at least libertarian) view when it comes to drugs, claiming that the government should have no right to regulate substances or even health information. Conversely, more traditional views state that drugs have no place in our society. That’s because drugs still challenge our social values; they are a kind of avant garde, in this way, standing in direct opposition to what we claim to believe. What’s more, the debate is changing; when we ask about the status and regulation of drugs (and the rehabilitation process of former users), we’re no longer solely discussing the local-level of drug dealing and consumption; we’re discussing the way in which users can anonymously participate in the industry. Whether you are ‘for’ or ‘against’ drugs, you will concede that along the line of production, someone gets hurt. As Judge Forrest suggested, normally these people are hidden – they are in third-world countries, with no recourse to the law or international justice. Yes, governments and police are often heavy-handed and in some cases prejudiced about petty-criminals, but it doesn’t entail that drugs are therefore not a problem. 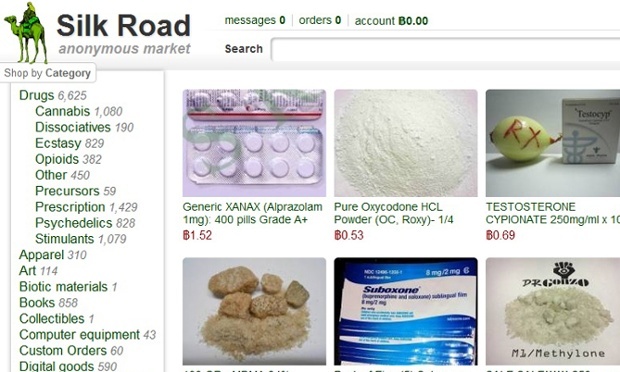 To further complicate this issue, the reality is that Silk Road was only one such site. It has spawned many copycat sites, some with fewer security measures to protect users. One of the reasons why Ulbricht received such heavy sentences was because the law is the part of this equation that simply cannot keep up with the way Webs work. That’s probably one of the motivations for showing no leniency; to set an example to others. But this example is not going to solve the problem; it doesn’t address the problems of privilege inherent in the drug process, nor does it highlight the invisible victims in drugs manufacture. By selling drugs on the Dark Web, it may be possible to circumvent government interference into one’s patterns of consumption, but it also renders less visible the victims of drugs production: people in countries where they are produced.